In the summer of 2016, Kasey joined the company of Festival 56 in Princeton, IL where he performed the roles of El Gallo in The Fantasticks, Father in Violet: The Musical, Sky Masterson in Guys and Dolls, and Jack in Brighton Beach Memoirs. Kasey has been seen in the Off-Broadway Show The Imbible: A Spirited History of Drinking at the New World Stages and as Justin Tarrant in The Off-Off-Broadway Production of Love Court with The Isle of Shoals Production Company at The Robert Moss Theater. Kasey has released a self produced EP: Dust and Ashes. 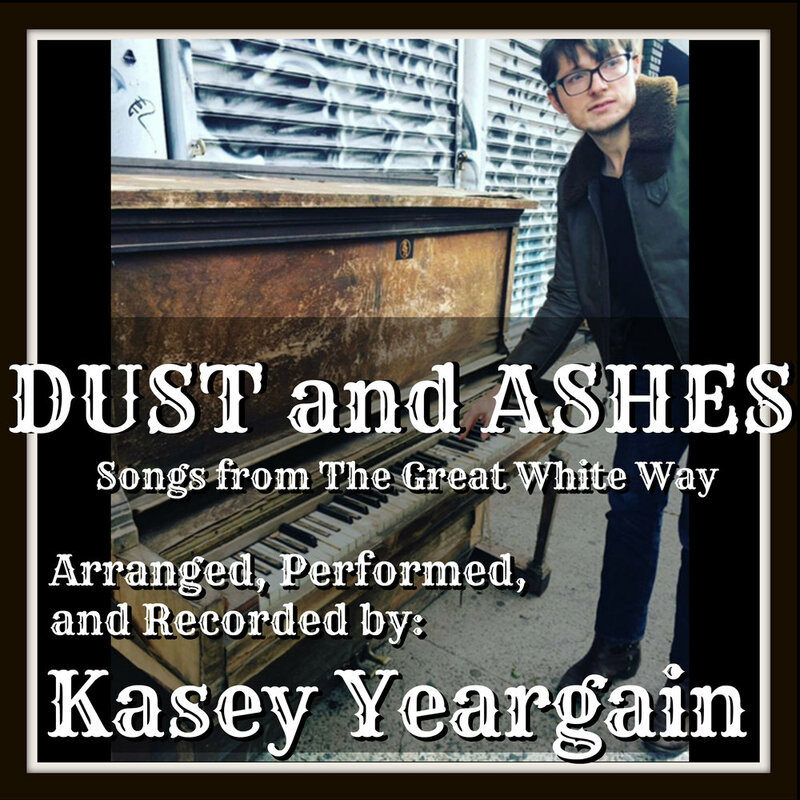 Dust and Ashes features songs from Broadway and Off Broadway shows with each part arranged, performed and recorded by Kasey Yeargain. Dust and Ashes is now available to stream or download on iTunes, Spotify, Amazon, and Google Play! Equally comfortable in Opera and Musical Theatre, Kasey Yeargain is a budding singing Actor following in the tradition of greats like Gordon MacRae, John Raitt, and Robert Goulet. Kasey is a native Oklahoman and a graduate of Oklahoma City University’s Opera and Musical Theatre Program where he received a Bachelor's Degree in Vocal Performance. Kasey continued his training with programs such as The Seagle Music Colony where he performed Nathaniel/Stage Hand/Cab Driver in Kiss Me, Kate, Gideon/Mr. Dashwood in Little Women, and the title role in Sweeney Todd. Kasey sang with Tulsa Opera for three seasons in both chorus and supporting roles, making his principal debut in the role of Zuniga in Carmen.